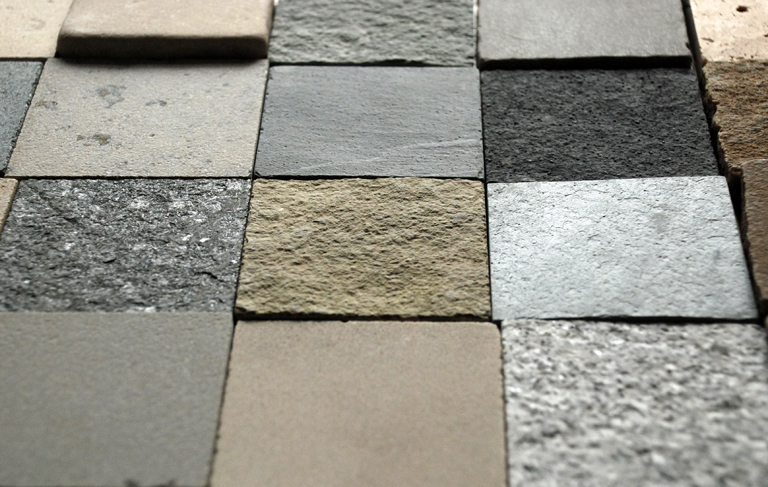 All stone companies will be more than happy to send you samples of their paving. Ideally get as many as you can so that when you return home, and look at them in-situ, you have a few to choose from. Many stone companies have display areas which is really helpful. If you pick the samples up from a yard, sometimes they’ll have some larger pieces or broken slabs that you can take away. Once you’ve got the stone home, place it in-situ and see how it fits in with the colour of the house wall and any other materials in the garden. Be sure to look at the stone when it’s wet as well as dry…it can change quite dramatically. Riven stone tends to be cheaper and will work in most situations as long as you choose something with the right tone. If you’re going for a slick contemporary look then you might want to choose a sawn stone which has sharp edges and a smooth finish. If you go for a smooth stone make sure you do your homework first because some need to be sealed after they’ve been laid to prevent staining and this usually changes the colour. This very much depends on where you’re going to lay the stone. A lot of the budget stone only comes in a 25mm depth which is fine for foot traffic, but it won’t withstand vehicular use. If you want to lay stone on your driveway then you’ll need something that comes in a depth of at least 40mm. For me it’s natural stone all the way but there are concrete products on the market that offer better value for money. If you do use concrete products then make sure any cuts are placed so that you can’t see the edge of the stone….the inside of a concrete slab is concrete so won’t look very pretty. It’s sometimes nice to define areas within paving, a seating area for example in a large expanse of paving or smaller paths leading off a main pathway. Some stone, sandstone for example, is available in tumbled setts so you can add interest and texture without compromising on colour. Lisa, I love your blog and website. It’s so stylish and packed with fantastic hints and tips. 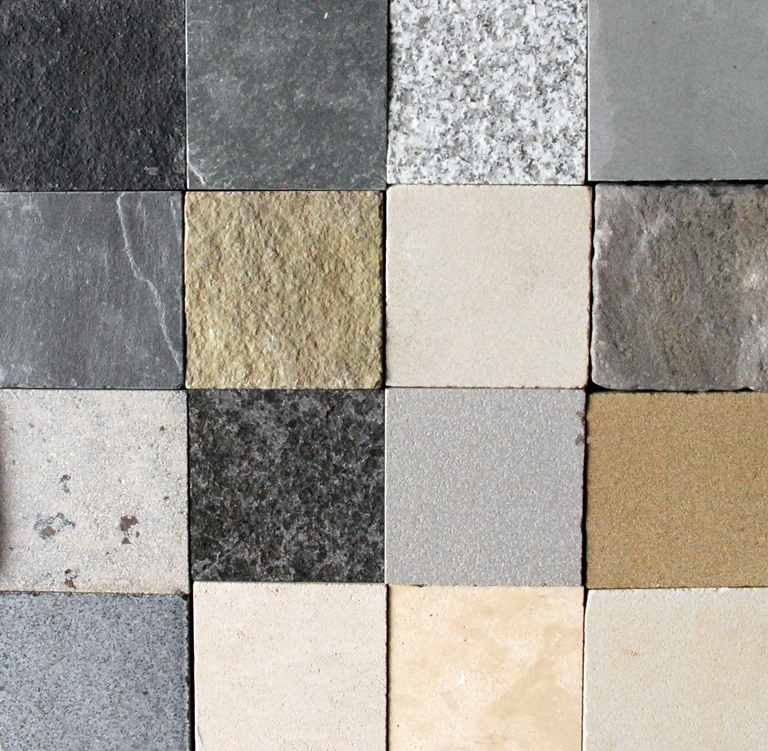 We are about to tackle our back garden and are struggling to choose a stone for the terrace. Any advice for what to use for a north facing terrace in a 1940’s red brick semi? Having read your advice, we know not to go for anything porous, but we are still clueless about colour! Thanks Gordon – glad to know that it’s useful! 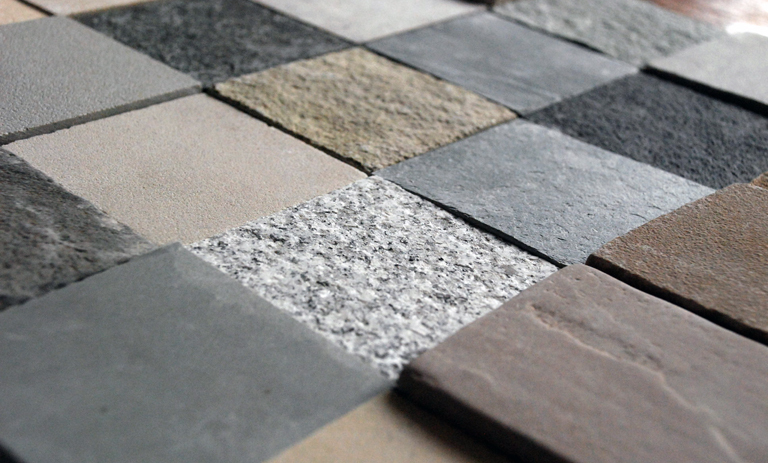 Choosing the colour of your paving can be tricky. It’s important to look at samples in situ so that you can see how it blends with the brick. Lay them all out on the ground and stand back, it will be clear which you need to discard and which are the best fit. Then look at the stone wet too…it’s amazing how much it can change in the rain! It can be helpful to visit a local supplier with display area too. Sometimes, if they have any broken slabs in the yard, they’ll happily give you a larger piece of stone to take away. Great advice for our customers, Thank you! Due to the limits of photography and variations in computer screen calibration even the best photos should be treated as a guide only. Always order a sample or go to a showroom. Glad it’s been of use! Absolutely right, SO important to look at samples in the flesh, and in relation to the other materials in the garden.